Recreational marijuana in Canada is now officially legal, and while the change is unlikely to have a significant impact on Latin America’s black market, it could trigger a shift towards more progressive international drug policies. On October 17, Canada became the largest country in the world to fully legalize the use of recreational marijuana. Lawmakers in the North American nation passed in June 2018 Bill-C45 before marijuana legalization officially went into effect this October. Canada is the second country in the region to legalize recreational marijuana consumption after Uruguay became the first to do so in December 2013 before beginning legal sales in December 2017. Several US states have also legalized marijuana despite federal prohibition and other countries in the region are currently debating proposals to allow for medicinal use or decriminalize personal use. On the other hand, Canada Justice Minister Jody Wilson-Raybould called the decision a “historic milestone” in a June tweet. “This legislation will help protect our youth from the risks of cannabis while keeping profits out of the hands of criminals and organized crime,” she added. Marijuana legalization in Canada is not likely to have a major effect on Latin America’s black market, particularly in Mexico and Colombia, historically two of the region’s main suppliers of marijuana in North America. 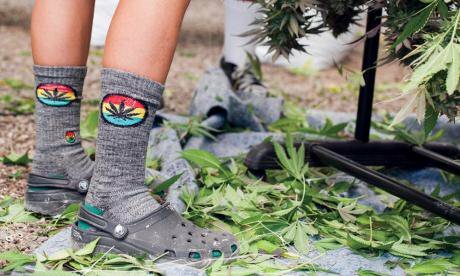 Mexican marijuana traditionally fed US market demand amid the drug’s prohibition at the federal level before states started moving towards legalization. In contrast, much of Canada’s black market marijuana comes from home growers in the country and more recently from northern US states along or near the US-Canada border, such as Washington and Oregon, that have legalized marijuana. Organized crime groups in Latin America, particularly in Mexico, have adjusted to declining demand for marijuana north of the border as more US states legalize the drug. Criminal groups are now increasingly involved in trafficking heroin and synthetic drugs like fentanyl to meet demand for opioids in the United States, in addition to trafficking cocaine to meet US demand as coca production booms in Colombia. 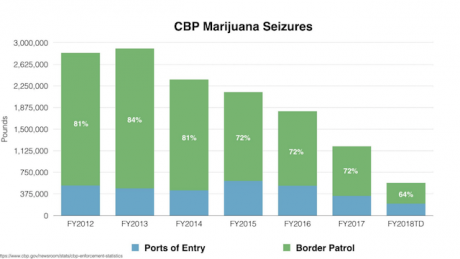 The amount of marijuana seized by US Customs and Border Protection (CBP) has also declined in recent years. Marijuana legalization in Canada may not have an immediate impact on Latin America’s drug market, but it could help lead a shift towards modifying international drug treaties to be more progressive and in line with evolving global thinking on drugs, which could over time impact the region’s organized crime groups. “Inter se modification” of international drug treaties regarding marijuana is one such option. This is when two or more countries join together and allow for the “production, trade and consumption” of marijuana for recreational purposes while “minimizing the impact” on other countries and international drug conventions, according to a March 2018 joint-report from the Washington Office on Latin America (WOLA), Transnational Institute (TNI) and Global Drug Policy Observatory (GDPO). Canada has the potential to play a very important role in exploring the feasibility and desirability of this option for countries in Latin America. Its reputation as a strong global citizen could help other countries in the region make a push for more forward-thinking drug policies, according to John Walsh, WOLA’s Director for Drug Policy, who co-authored the 2018 report. If more countries band together and opt for the inter se option to enact progressive drug policies, this wrestles the marijuana market away from illegal actors and deprives them of a revenue stream that’s been fairly easy picking so far, which could over time have an impact on their relative strength and wherewithal. That said, marijuana is not at the center of organized crime groups and their proceeds as it once was. Today, organized crime groups throughout the region partake in a multitude of criminal activities, from arms and contraband trafficking to illegal gold mining and oil theft. Some of these illicit industries are potentially more profitable than the drug trade. While marijuana legalization alone is not likely to severely weaken organized crime groups in the region, the push for legalization falls in line with calls from authorities across the world for new and more innovative policies to curb the growing global drug market. Current efforts focused on repressing production have failed to suppress the black market or protect drug users. “Legalization is a harm reduction measure that makes problems created by the black market more manageable and safer,” Sanho Tree, the Director of the Drug Policy Project at the Institute for Policy Studies, told InSight Crime. Reaching a global consensus to “revise or amend” the UN drug control conventions to accommodate for marijuana legalization doesn’t seem to be a “viable political option in the foreseeable future.” Walsh argues that the polarized nature of the debate makes the inter se option more attractive, and provides a “coordinated and collective response” to the global drug problem.